Please join us at the beautiful Kiana Lodge on Agate Passage for a springtime evening rich with friendship, fun, great food, music and entertainment and our exciting, signature auction event on Friday, March 30, 2018. Our auction features original traditional and contemporary Native art as well as our unique cultural experience items such as a local archaeology tour, an indigenous food cooking class or a canoe voyage around Agate Passage. Our inspiration this year is the Blue Jay Saves the Sun. This Suquamish story signifies the audacity, altruism and courage of an individual whose passion is to cultivate and benefit the place and people of his beloved home. To dedicate, with heartfelt determination, and even an element of playfulness, the will to surmount all obstacles to bring light and prosperity to the home and community that you revere and love. It is in this spirit that we joyfully focus our fund-raising efforts this year on the building of a community playground and cultural park based on Suquamish stories and legends in the Suquamish Shores area. As this land is being returned to Suquamish ownership this Spring, it is our commitment to transform it into a place that reflects the health, beauty, traditions and community spirit of our treasured homeland. A place for families that can enrich everyone. 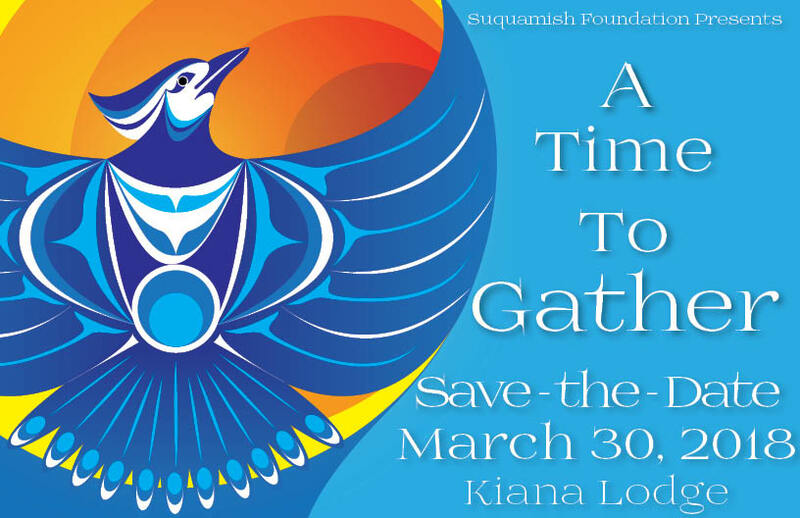 The Suquamish Foundation is the non-profit arm of the Suquamish Tribe, created in 2005, and dedicated to supporting the culture, education, environment, health and vitality of the Tribal community and its’ neighbors. We completed the inspiring Building for Cultural Resurgence capital campaign that built our Suquamish Museum, Community House, Early Learning Center, Veteran’s Memorial, Health and Fitness Center, Community Ball Field and Community Dock. And we award over $300,000 annually to schools and non-profit organizations that serve Kitsap County. To purchase tickets to our annual fundraising event, visit the foundation online by clicking here or contact Margeaux Lewis at mrlewis@suquamish.nsn.us or by phone at (360)394-8453. Tickets go on sale by February 1, 2018.